Update 11/21/18: Amazon provided us with the following statement. "We have fixed the issue and informed customers who may have been impacted." Note that Amazon's system was not hacked - its website inadvertently disclosed email addresses and names due to a technical error that has since been fixed. Some Amazon customers say they received an email from the company about a breach of data, according to multiple news outlets today. UK tech publication The Register said readers forwarded emails from Amazon UK informing them that it had "inadvertently disclosed [their] name and email address due to a technical error". Security expert Brian Krebs said the notification letter was a bit odd: "Besides the brevity, what's giving people pause is they sign the email http://Amazon.com Why cap the "a" and why no https://? Strange." We're contacting you to let you know that our website inadvertently disclosed your name and email address due to a technical error. The issue has been fixed. This is not a result of anything you have done, and there is no need for you to change your password or take any other action. In a few weeks, we will learn that every one of the 2 billion customers and almost 50%of ALL THE SALES ONLINE have been sold by some crooked bottom-feeder Amazon employee, just as they did with China. Only 50% of all online sales. 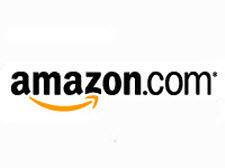 I saw the "data mistake" all over the news, within 3 hours, most of the news outlets decided to hide or delete the HUGE news, because otherwise Amazon will not pay them for any advertisement or affiliate links. No monopoly here folks, nothing to see, keep shopping, at Amazon, so that we can see those exciting stats about how many sales per minute YOUR company didn't get. I had and uptick of spam, been sending to spamcp and it seems to be dwindling. Not sure if that was the reason, but the timing seems right.